You wouldn’t know if from the recipes I post, but my family is HUGE on breakfast! I don’t do many on here because I’m just to tired in the morning to get organized and take pictures. One year I had a New Year’s resolution of NO cereal for the year. It was tough to start, but it became easier to have healthy and quick breakfasts with little planning. 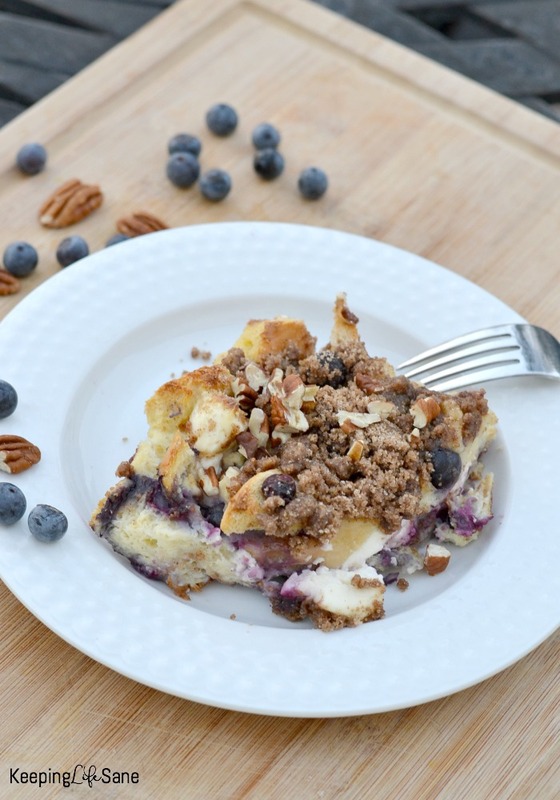 This blueberry French toast bake is great. You can make it the night before and throw it in the oven when you wake up. Cube bread and cream cheese and set aside. Add half the bread into a 9″x13″ greased baking dish. Add half the cream cheese cubes and half of the blueberries. Repeat. Add eggs, milk, and vanilla to a bowl and mix. Pour over bread. Make sure you push down any bread that didn’t get wet. Cover with foil and refrigerate overnight. You want the egg mixture to really soak into the bread. 4. For the topping: Combine brown sugar, flour, cinnamon, butter, and pecans (optional) and mix until crumbly. 5. Place the French toast bake into the oven set at 350F and bake for 40 minutes. 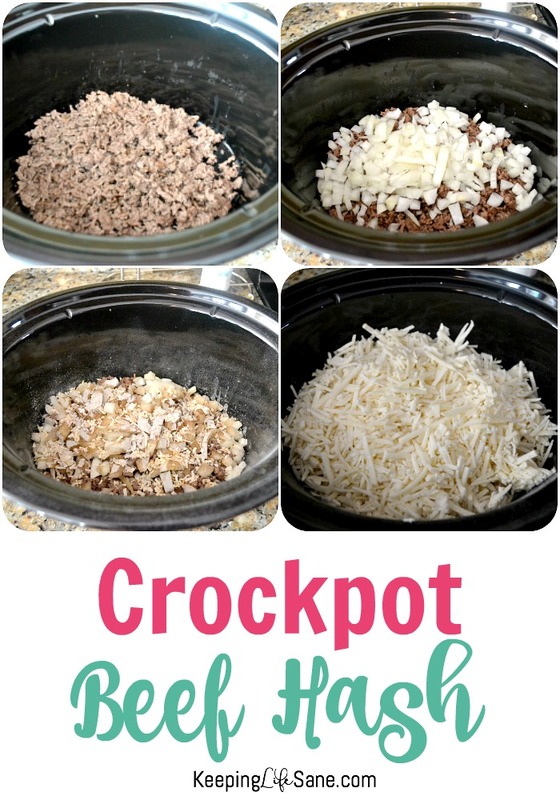 Take out and add the topping and cook an additional 15-20 minutes. 6. Top with maple syrup and whipped cream and ENJOY! 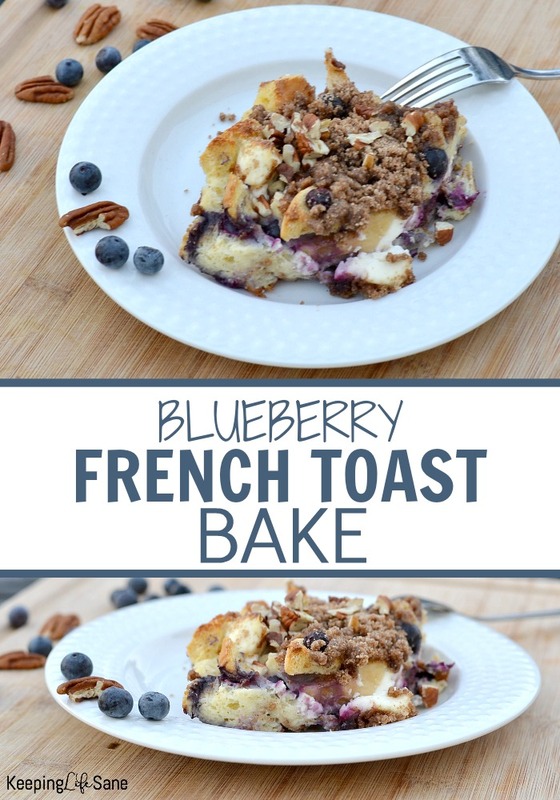 This is a great breakfast for brunch, holidays, weekends, or just a normal weekday. I love pecans with maple syrup! Everyone will LOVE this! This is the perfect make ahead breakfast for any special occasion, weekend, or regular weekday. Add half the bread into a 9"x13" greased baking dish. 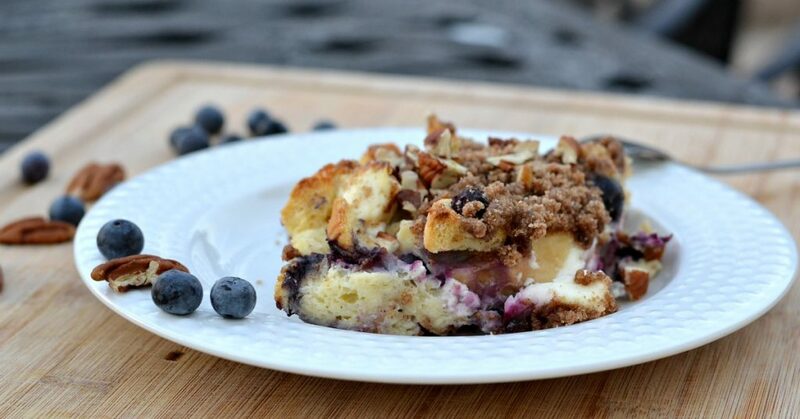 Add half the cream cheese cubes and half of the blueberries. Repeat. Add eggs, milk, and vanilla to a bowl and mix. Pour over bread. Make sure you push down any bread that didn't get wet. Cover with foil and refrigerate overnight. You want the egg mixture to really soak into the bread. For the topping: Combine brown sugar, flour, cinnamon, butter, and pecans (optional) and mix until crumbly. 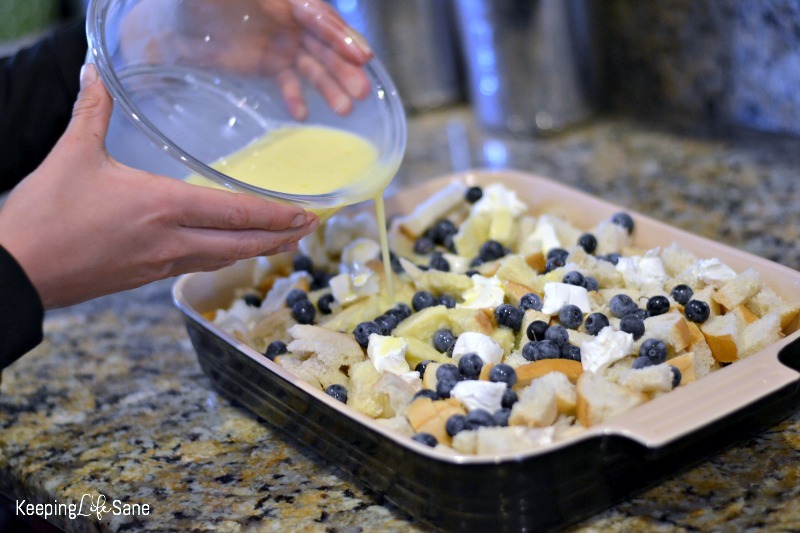 Place the French toast bake into the oven set at 350F and bake for 40 minutes. Take out and add the topping and cook an additional 15-20 minutes. Top with maple syrup and whipped cream and ENJOY! You may also like this post too! Anything that I can use as egg substitute as my boy is allergic to egg . Thanks Holly! Unfortunately, not in this recipe. Recipes that contain 1 or 2 eggs you can add in oil and water or applesauce. Sometimes it works.